Remeber a time before calculators and other fancy math tools? Well, neither do we but here's an abacus! 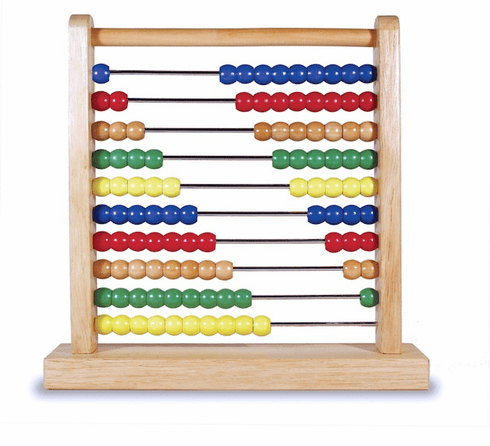 Produced by Melissa and Doug this abacus is made of high quality materials with bright colors to hold your child's interest. Ages 3+ 12" x 12" x 3"